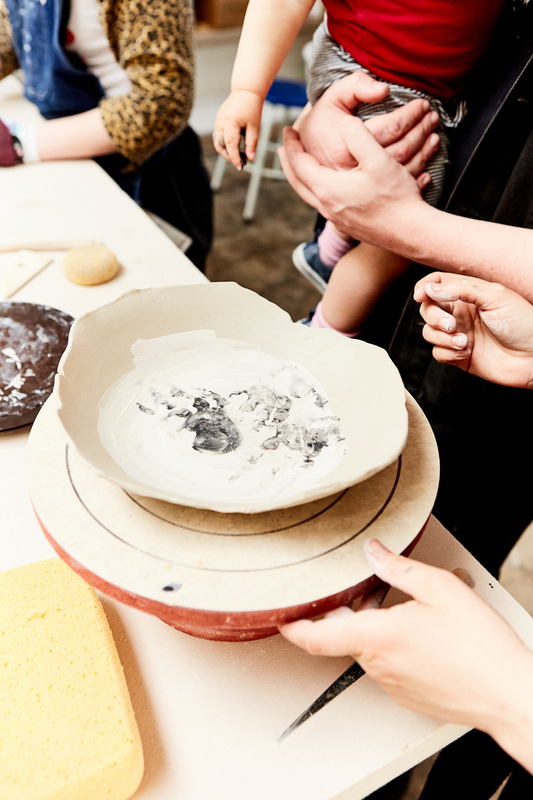 This past weekend, we opened our doors at Hand / Thrown Studio to anyone who wanted to join us for a day of exploring clay and getting to know our neighbors. 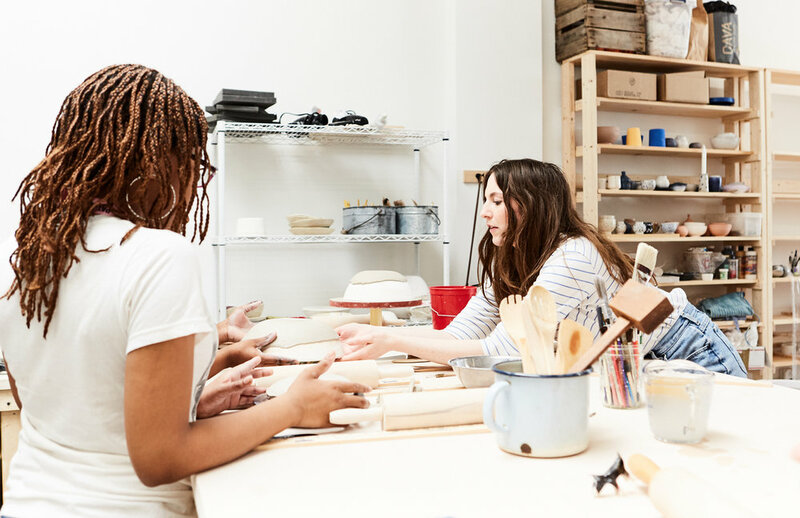 Our mission is rooted in sharing the excitement we feel about the arts, and more specifically clay!, to everyone around us. There’s nothing more gratifying than watching someones face light up at the sight of something they’ve made, with their own hands, from start to finish. We started with rolling out slabs of clay and forming them on to plaster slump molds. From there, students were able to add embellishments, carve designs and use excess clay to build pinch pots and other pieces. The final step for everyone was to paint their work with underglaze. We’ll bisque fire everyone’s work, then apply a coat of clear glaze before we fire them one last time to finish them off! This was just a touch of what we hope to offer as our programing grows in to more and more outreach towards the community. We had such a great turnout, and a great time meeting new faces and showing them the ways of slump molds and slab building. We can’t wait for the next go round, and hope you’ll join us at Hand / Thrown! Student work fresh out of the kiln!